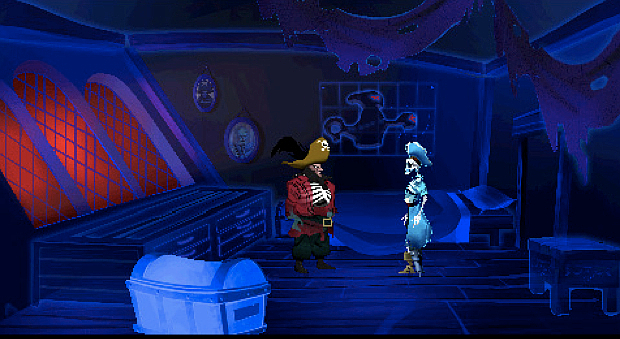 It is now possible to play Secret of Monkey Island: Special Edition on the go. This morning, we were surprised to find the Special Edition version of the benchmark adventure title on the App Store. We knew it was coming, of course. LucasArts has been delightfully silly about the possibiliy of an App Store port. But we didn’t know when it was happening. The title weighs in at 351 MBs and currently costs $7.99. According to the “Application Description” of the App Store page, the title is a faithful port of the recent rerelease. It includes voice acting, the ability to toggle between visualizations, and a rubber chicken with a pulley in the middle. Color us excited about this release. We’ll hit you with our impressions soon.